As the green infrastructure (GI) approach to water management gains momentum, the budget process needs to adapt to some of the characteristics that make green distinct from the more traditional gray infrastructure approach. As communities are embarking on GI, shortcomings in the budgeting process can falsely create a bad first impression. 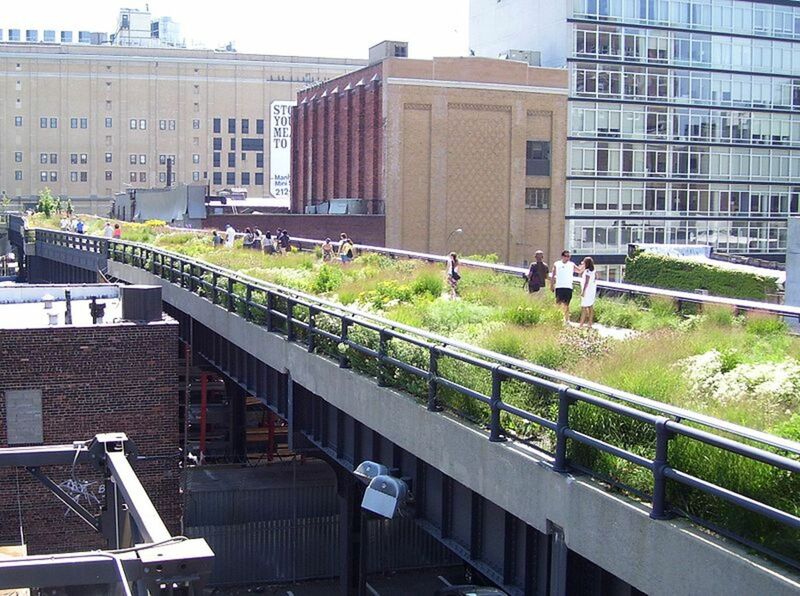 When inaugural GI projects are grossly over budget for their installation, or need more frequent maintenance than planned, future GI projects may be blocked before the current project’s vegetation can become established enough to produce the significant benefits for which it was designed. However, considering and planning for certain key attributes of GI can fend off this negative cycle. In some cases, a local government has GI on both private and public property. Milwaukee also handles these two ownership situations differently in its budgets. GI where the District will not own the property on which the project is installed is included in the O&M budget. However, if the GI installation is to occur on District-owned property, then it is included in the capital budget. In other examples, GI eliminates the need for curbing, catch-basins, ponds etc. So the net effect to the budget is what becomes more important than individual line items. While rules of thumb for GI costs are becoming more dependable as more projects are installed and more time elapses since their installation, budgets should include a “buffer.” Firstly, the costs and performance of GI are somewhat more dependent on local conditions than gray infrastructure. Also, as is the case with most new endeavors, there is a learning curve involved. For example, one official involved in Seattle’s “Street Edge Alternative” (SEA) pilot project estimates that the project could be done for about 25% less going forward. 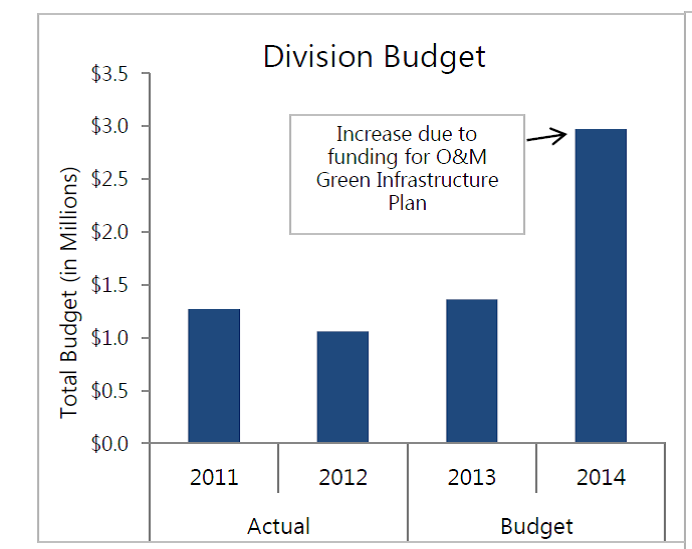 Gray infrastructure also usually needs more O&M as age increases. Conversely, as the vegetation involved with GI matures, there tends to be increased resilience and function. Generally, in new developments, GI costs are less than retrofitting already developed urban areas. This is especially true for individual, small-scale retrofit projects. GI costs can be reduced when they are incorporated into larger-scale redevelopment projects. The following table captures some of the main considerations for budgeting for GI projects, compared to gray ones. Initial capital costs Variable Variable – Depends on the type of GI (e.g. green roof installation tends to be much higher than traditional roof; while porous pavement can be more comparable to cost of traditional roads). How standard is O&M regime? Generally more routine and based on manufacturer’s guidelines; less variability May need to adapt to growth rate; weather and soil conditions etc. Precedence on O&M Long history of O&M data to draw on Limited long-term data on O&M costs. Level of skills involved in O&M More specific skills may be necessary for maintenance Usually more general skills, can even include community involvement in maintenance. Community Willingness to Pay Usually lower Usually community more willing to pay for maintenance. External costs to consider More salting and plowing on traditional roads Permeable pavements reduce public road maintenance expenses. Eliminates need for other infrastructure line items in budget? Most often does not reduce need/cost for other types of gray infrastructure. Often eliminates need for other “gray” costs such as curbs, drains and stormwater conveyance tanks, pipes etc. Triple bottom line benefits – social and recreational? Limited or no social and recreational benefits While some costs can be quantified more easily: e.g. reduction in capital and O&M costs, or reduced fines for CSOs, but there are also social and recreational benefits that are less easy to quantify, but may be worth considering. Triple bottom line benefits – environmental and long term financial benefits Potential avoided capital costs for treatment processes like flocculation and sedimentation; membrane filtration etc. based on enhanced source water quality. One study found that water treatment costs for utilities decrease by approximately 20 percent for every 10 percent increase in forest cover across a watershed. Some of the examples of GI programs date back many years. A local government looking to create a brand new GI program may be overwhelmed and perplexed about where to even start! If a utility has budgeted for “source water protection” in the past, this can serve as a good launching pad to introduce GI into the budget process. Another relevant area of local government to interject green infrastructure projects is through a stormwater management program. Many local governments have created stormwater utilities to generate the funds needed for these types of projects. While conferring with neighboring experienced communities may be useful, since this area has been evolving so quickly, anyone preparing budgets for GI should be sure to get recent quotes. For example, simply talking to a nearby local government who put in their GI even a few years ago may indicate much different (most likely higher) costs than current market prices. Lastly, implementation of GI can be incremental, even though the vision may be grand! Stacey Isaac Berahzer is a Senior Project Director at the Environmental Finance Center at UNC Chapel Hill.